ABD is proud to support Taste Wiltshire! The Taste Wiltshire event is now in its third year and will feature over 20 independent Wiltshire based food and drink producers. 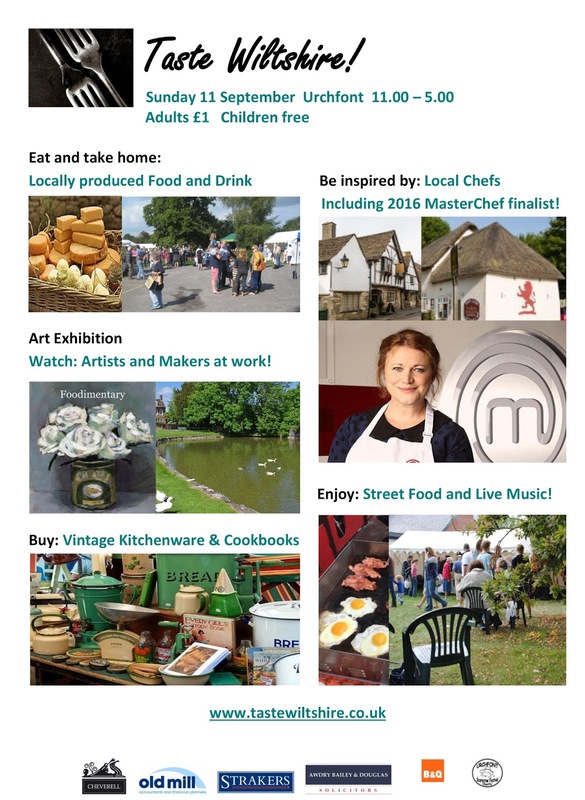 Cookery demonstrations will take place in the Kitchen Demonstration Marquee not only from this year’s 2016 MasterChef finalist, Juanita Hennessey but also Head Chef Patron Jonathan Furby from “Sign of the Angel” at Lacock and Dave Watts, Head Chef at the Michelin Starred “Red Lion” at East Chisenbury as well as Urchfont Chef, Clive Seal. Marlborough Jazz Live International Festival 2016 is nearly upon us when the town of Marlborough becomes a mini New Orleans come rain or shine! In 2011 Marlborough Jazz celebrated 25 years and is still going strong! This exciting event takes place over the weekend of 15, 16 and 17th July 2016 with live music performances in so many venues throughout the town including the Priory Marquee sponsored by Awdry Bailey & Douglas. A fantastic line-up of musicians will be performing each day! Chris Jagger and the Atcha Band, Jive Aces, Adam Winslet Band, Crazy Hambones and more! Also, the amazing Clare Teal will be performing and presenting music from her new album Twelve O’Clock Tales accompanied by her 16 piece Hollywood Orchestra in the Priory Marquee.